All this week we are celebrating our most special places for nature by bringing you a series of exciting blogs about Scotland’s amazing protected areas. Today Charlie Main, Shiant Isles Seabird Recovery Project Manager, tells us about the Shiant Isles - a remote haven for Scotland’s seabirds - and the hugely successful rat eradication project that has secured the future of these wonderful birds. 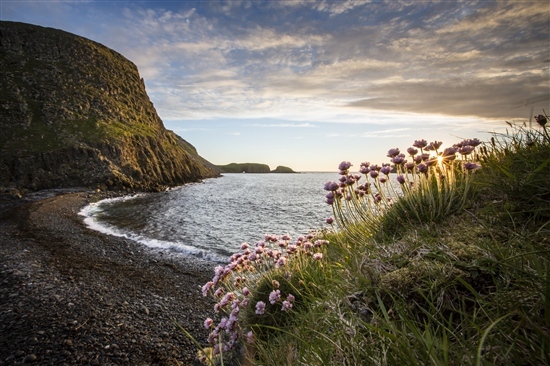 Protected Areas Week is a great moment to highlight some of the conservation successes that have recently been seen at the beautiful and remote Shiant Isles, northwest Scotland. These islands are designated as a Special Protection Area (SPA) and Site of Special Scientific Interest (SSSI), and provide essential breeding habitat for hundreds of thousands of seabirds, including an estimated 63,000 pairs of puffins. 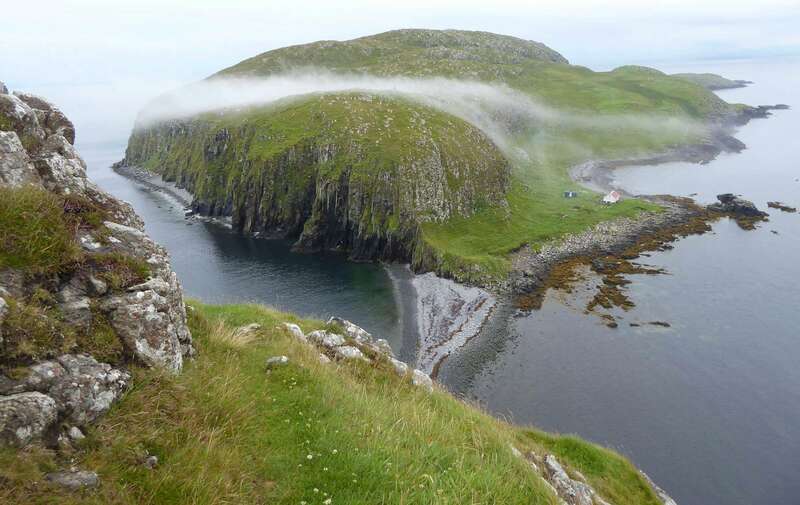 That makes these islands the second largest puffin colony in the UK after St Kilda. Once the seabirds have all arrived at the islands in late spring, the breeding colonies become a cacophony of incredible sound. Thousands of birds wheeling overhead with the rest tending to their eggs and chicks, or rafting on the water nearby. It is nature in full glory. RSPB Scotland has led a successful, four-year partnership project with the Nicolson family (who own the islands) and Scottish Natural Heritage (SNH), the aims being to safeguard seabird breeding habitat in the protected areas from predation by invasive species, to actively attract petrels to nest there and to enhance UK-wide training and expertise in biosecurity and eradications for conservation purposes. Biosecurity is the series of measures put in place to keep sites free of invasive species like rats, stoats or mink once these predators have been removed. It includes awareness raising, careful packing of food and gear going out to islands and regular monitoring to provide early detection of any fresh invasions. Funding for the project was initially sought from the EU, with match funding made up by SNH and private donations to the RSPB. Almost half of the project’s million pound budget was allocated to eradicating a population of invasive, non-native black rats Rattus rattus from the whole island group of the Shiants. Wildlife Management International Ltd – a New Zealand based company with an impressive record of global success on such projects – were contracted to lead the operation. The main eradication campaign was undertaken over the winter of 2015-16, but it was only in March 2018 that we were finally able to officially declare the islands rat free. This exciting and proud announcement followed two years of regular monitoring for rats at the islands culminating in a month-long thorough search for any remaining rats in February 2018. Scotland is home to over a third of Europe’s nesting seabirds, but many big threats, including ground predation by invasive species, habitat encroachment, pollution, fisheries and climate change have caused 30-year population declines and are all pushing seabirds onto remote outposts like the Shiant Isles. Work is needed to address all of these threats and protected areas play a key role in this, providing seabirds with breeding habitat, and access to productive feeding areas so they can successfully rear their chicks. With the main eradication campaign done, we set about a second phase of the project, to attract petrels to the islands. The nearest protected area for storm petrels is Priest Island, which lies about 25 miles north of the Shiants. The nearest protected site for Manx shearwater is the Isle of Rum, around 90 miles to the south. From 2016 we deployed sound-lure equipment at the Shiants, playing the calls of European storm petrel and Manx shearwater out to sea at night between May and August. 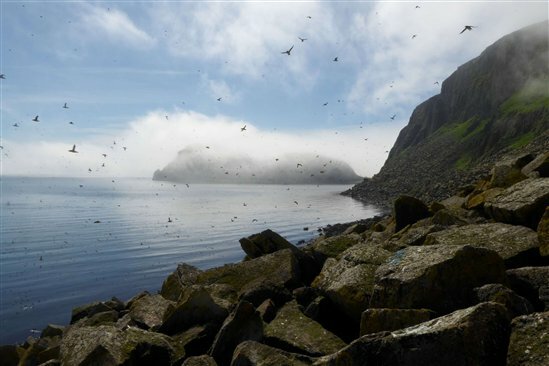 In June 2017 we recorded for the first time adult storm petrels – calling from within potential breeding habitat high on the rocky slopes of Garbh Eilean, the largest of the Shiant Isles. We could not be certain that this was a breeding attempt, but the signs were very encouraging and we are going back in this season to continue this work. How will the islands stay rat free? This remains the last big challenge of the project, and for the islands’ owners and visitors in the future once the project ends. We have begun a programme of awareness and training on the biosecurity practices relevant to island owners, reserve managers and stakeholders in conservation. The training is aimed at giving the right people the tools and knowledge to be able to keep island havens like the Shiants rat free. Only one rat returning to the Shiants would be enough to found a new population of seabird predators, if a pregnant female. That may seem unlikely, with the Shiants lying around four miles off the nearest land and therefore too far for a rat to swim, but any of the many vessels visiting the islands or passing close by could unintentionally transport a rat there. It has been a great relief to successfully get over the first hurdle and declare the islands rat free, but the long struggle to keep them that way has only just begun. We can do this. By working together, we’ll ensure that protected areas like the Shiants will remain safe places for future generations of seabirds to breed.